As I’ve said before, I’m not a big fan of fish. I love sushi, but really don’t dig cooked fish. I’ve been pushing myself to try new things lately and fish finally bubbled up to the top of the list. Our Pacific Northwest Road Trip really had me trying a lot of new fish dishes. 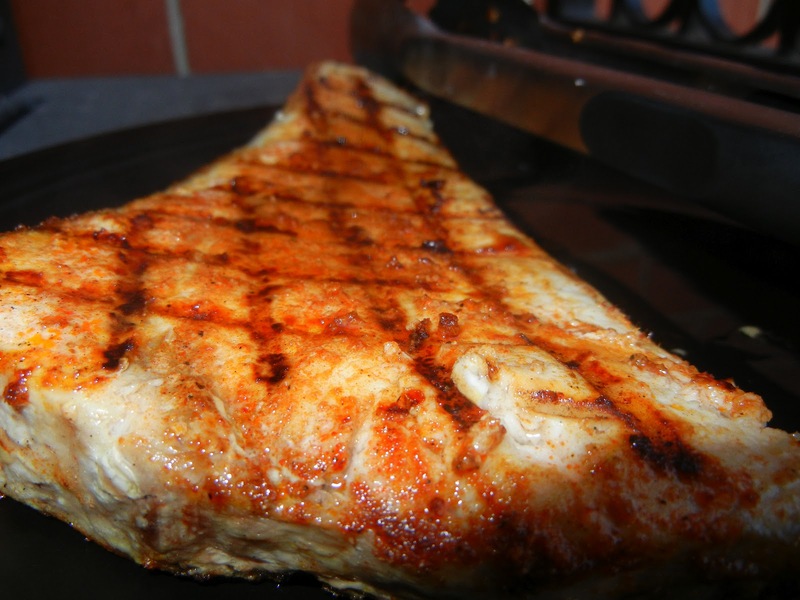 This weekend I decided to cook swordfish. After my run in with the meat counter guy at Treasure Island I had resolved to make a great meal. I decided to create a special rub for the swordfish, grill it and top it with some homemade salsa. This really was to protect me in case I screwed it up (overcooked) or if I found the meat to be too fishy, I could cover up the flavor. 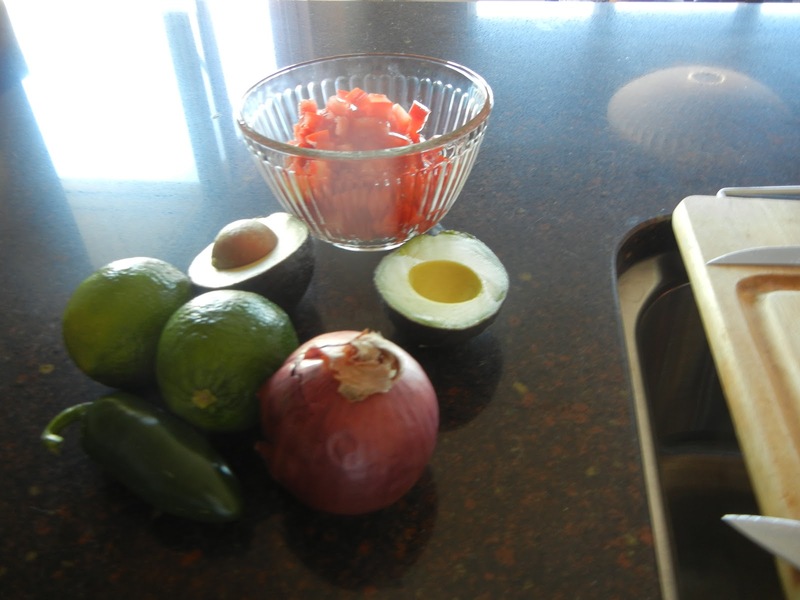 Combine all the above ingredients into a bowl and refrigerate for a few hours. 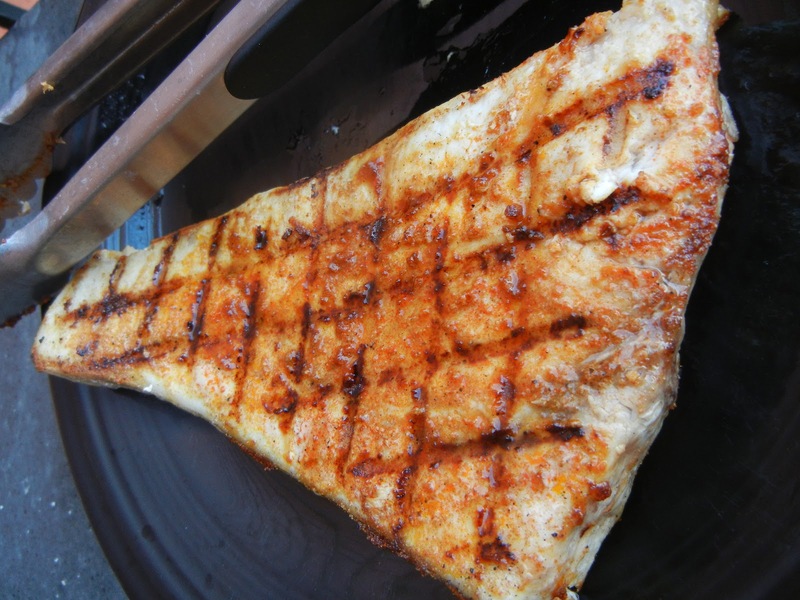 I covered the swordfish steaks with olive oil then applied the homemade rub. I then heated my propane grill on high. Once it reached temperature I vigorously brushed the grill clean then applied grape seed oil. I placed the steaks on the grill and cooked the steak for two minutes then rotated the fish by 90 degrees and grilled for another two minutes. I then flipped the fish and repeated. Once the fish was done, I let it rest on a cutting board for about 5 minutes. I served the fish on top of a bit of brown rice with some tomatoes. 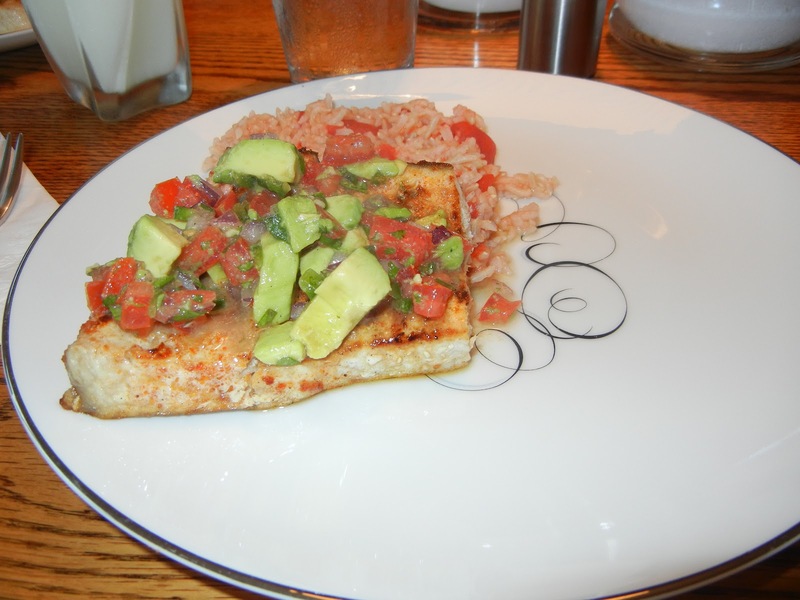 I spooned the salsa on top of the fish — and it was pretty damn tasty! What is your favorite fish to cook at home? Do you play it safe, like I did here (adding a rub and a sauce)? What other mild fish do you recommend for people who aren’t big fish eaters? By Tim in Food on September 4, 2012 .